You are currently browsing the category archive for the ‘First Editions’ category. What’s So Funny About First Periodical Appearances? I love first appearances, especially literary-related ones. It’s likely a symptom of the brainwashing that occurred during my youth while collecting baseball cards and comic books. Both interests value rookie card/character debuts above all others, which is probably the reason I get so delighted when I find a first appearance by a writer or artist – particularly one that others have overlooked. Still, as I helped select items for our First Books & Before catalog, I was again reminded of the different collecting whims of bibliophiles, particularly when it comes to periodical first appearance. I was recently asked by a reporter to comment on this question, and I offered some specific examples. As is often the case, my comments in the article, as well as an explanation of the examples, were very much cut for space (no hard feelings, I understand how these things go). But I thought I would provide the examples here, as well as a fuller answer to this question of how much rare books appreciate in value. But are these good examples? And what do these numbers really mean? In honor of Halloween, we’ve created a list of Scary Books at our website. The list includes novels new and old, as well as the first appearance of a notable short story and even a movie poster. Any list such as this stirs up debate as to what is truly a classic and that often comes down to exactly what you consider scary. Maybe you’re a traditionalist who prefers monsters, ghosts, and otherworldly creatures to axe-wielding maniacs. Or you consider crime and thrillers as horrific as they come. And how does fantasy factor into your spine-tingling thinking? The definitions of what is truly scary abound, so tell us some of your favorites. Today’s visitors to the English language homepage of Wikipedia will see a featured article on Ann Bannon, whose lesbian pulp novels of the late 1950s and early 1960s were unusual for their time in that they portrayed homosexual relationships in a positive light. 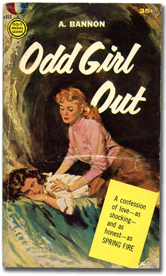 Supposedly her first novel, Odd Girl Out, was the second best-selling paperback of 1957. Bannon’s works are now studied in literature classes and have been republished several times, most recently by the Cleis Press in their series of lesbian pulp fiction classics. 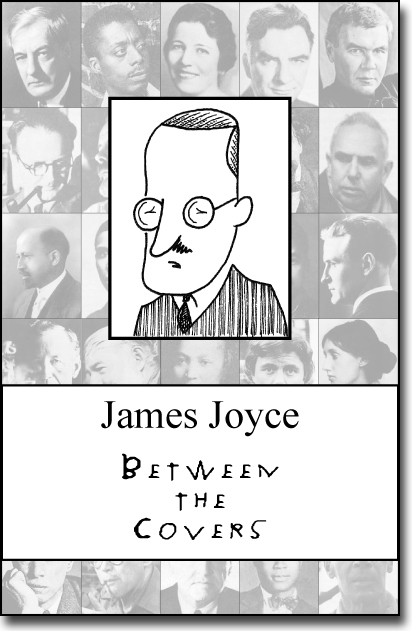 June 16, 1904 – the day of James Joyce’s first date with his future wife Nora Barnacle, and the day he later immortalized in his mammoth novel Ulysses, which follows its protagonist Leopold Bloom and others around Dublin on that day. Enjoy our gallery of images of rare editions of Joyce’s works on our Facebook page. 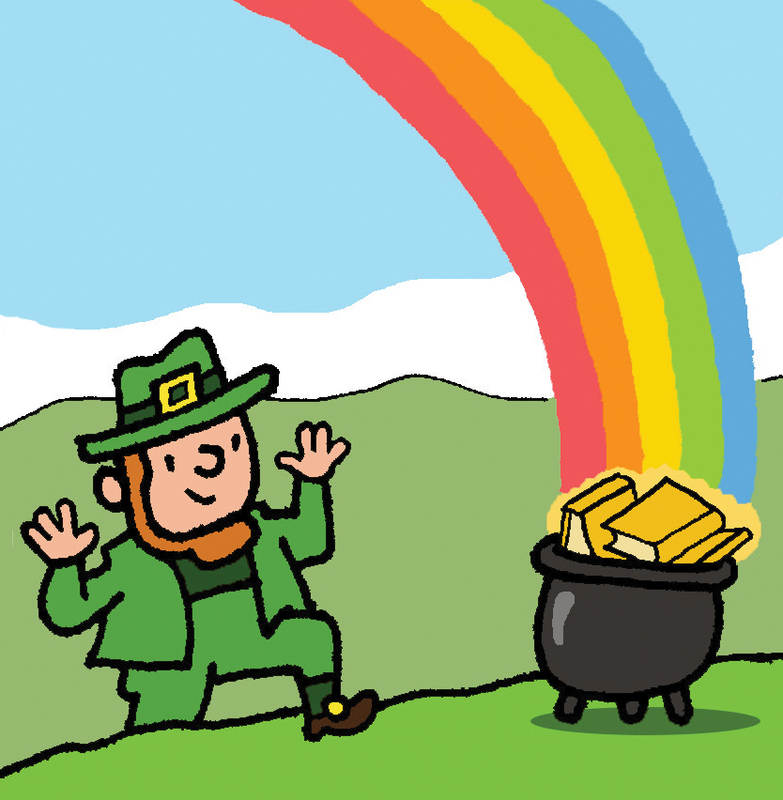 Here’s hoping you find your pot of gold this St. Patrick’s Day. With that in mind, we present a few Irish-related books for you to enjoy. Each morning upon arrival here at the wondrous world of Between the Covers I settle into my chair and I am often greeting by a surprising new item from antiquity left to me for further investigation by my delightful benefactor, Mr. Tom Congalton. Some mornings it’s an ancient, dust-covered tome, while on other days it’s a stack of yellowed correspondence in some nearly indecipherable hand. This morning it was a box – but not just any box. It was a box containing a book that I was told to catalog but not open. What was I to do? More on Paperback Originals; or, Enough Already! 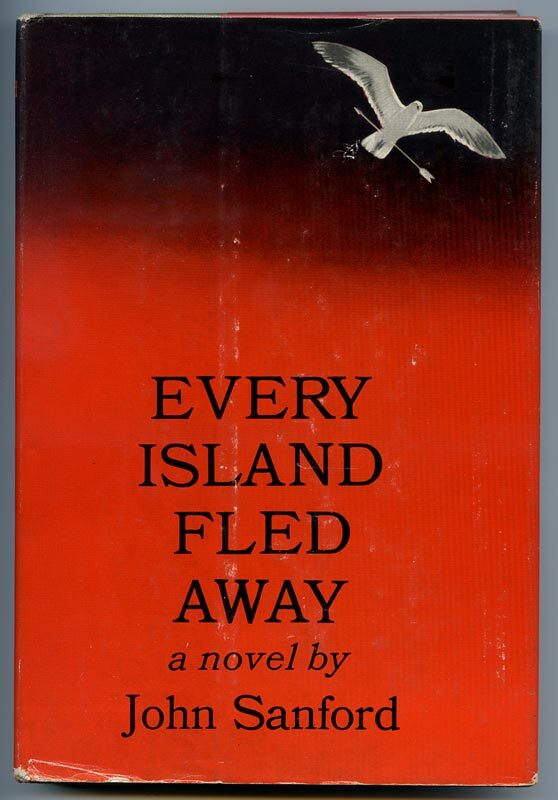 My post last week about paperback originals (PBO) elicited several interesting responses about why they are not generally as valuable and collected as hardcover firsts. I’m not completely swayed from my defense of paperbacks and the belief that they are undervalued and underappreciated, but I certainly better understand why collectors prefer hardcover edition. Still, the comments got me thinking.